This week I launched the seventh edition of my annual trend report featuring all of my research from throughout the year on trends. 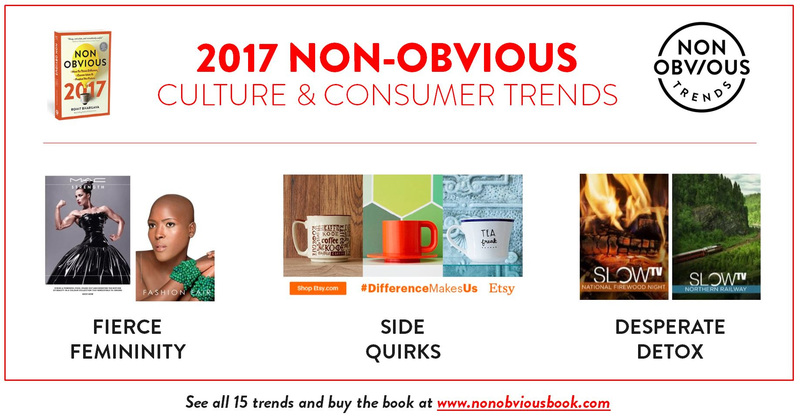 Many of you have already picked up your copy of the book, but to spotlight some of the research in a more visual way, I wanted to share a short summary of every trend along with a visual and one story from the book to illustrate each one. I hope you enjoy this recap and if you haven’t already – please buy your copy of the book today and help support the release! 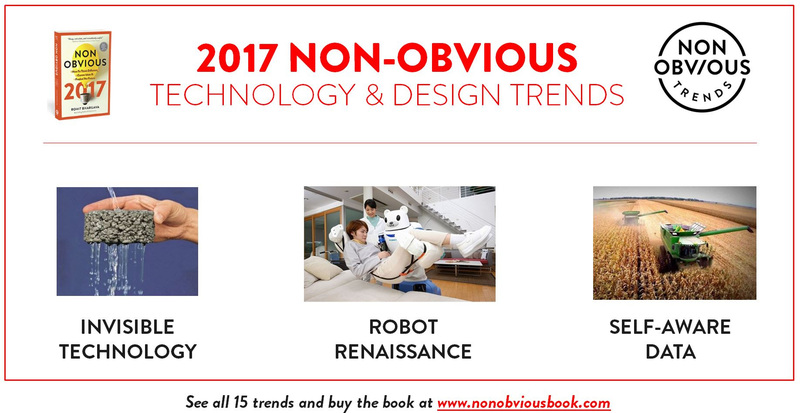 *Each trend contains many more examples and stories in the full book – this example is just used for illustration purposes. 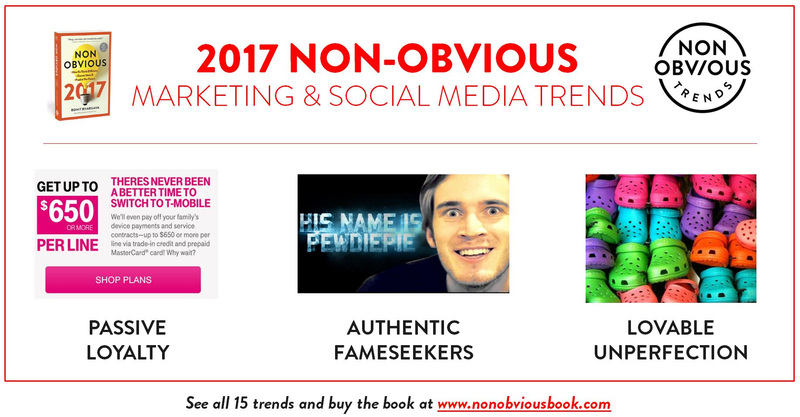 Authentic Fameseekers – A new generation of creators turn skillfully earn attention from vast audiences online by being willing share real, unfiltered and true versions of themselves. 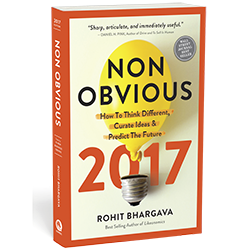 These trends are excerpted from the latest edition of Non-Obvious – a book about how to see what others miss and predict the future. These insights were first released publicly on December 6, 2016 and the book is currently available for sale in Paperback and ebook formats. 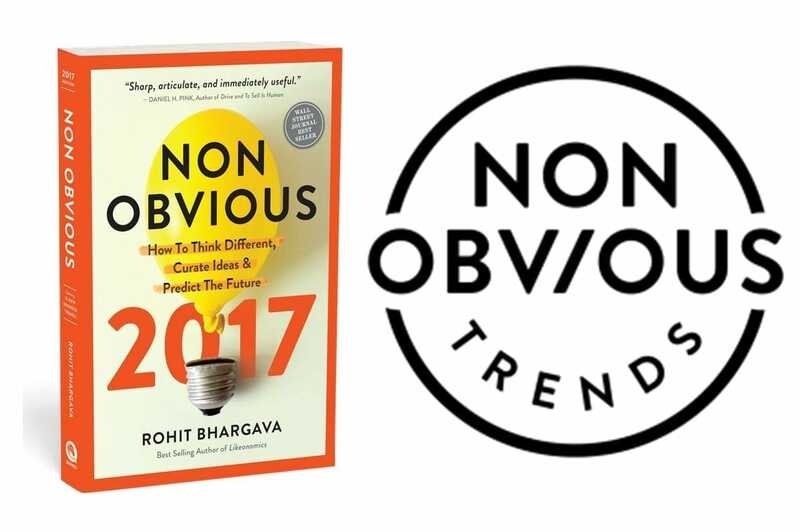 This new update is the seventh annual edition of the long running Non-Obvious Trend Report which has been read and shared online by over 1 million readers. 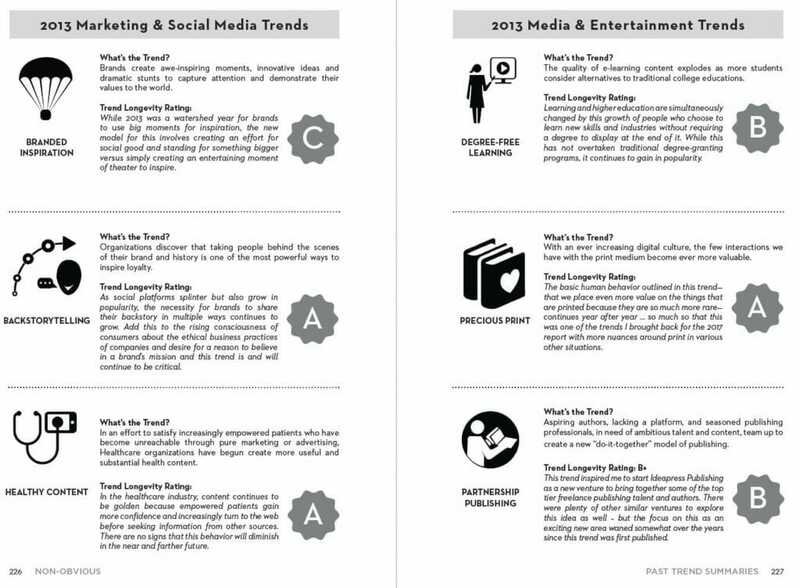 Every year, 15 new trend predictions are shared in the report in five categories. Wondering How Accurate My Previous Trend Predictions Were? 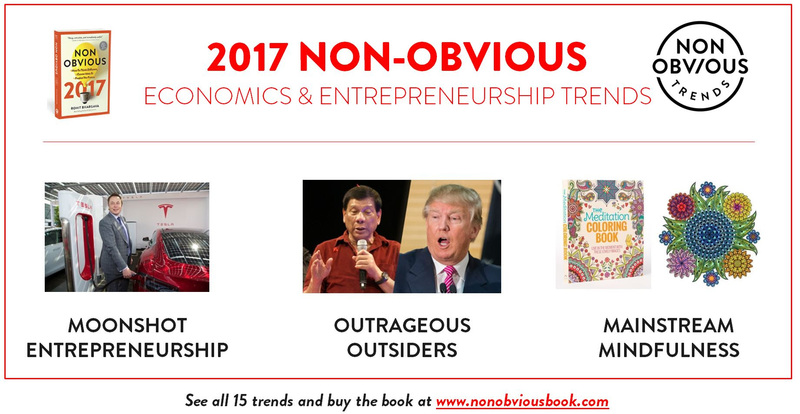 Example of past trend assessments excerpted from the new 2017 edition of Non-Obvious. Unlike other trend reports, the aim of this annual work is to be completely transparent. 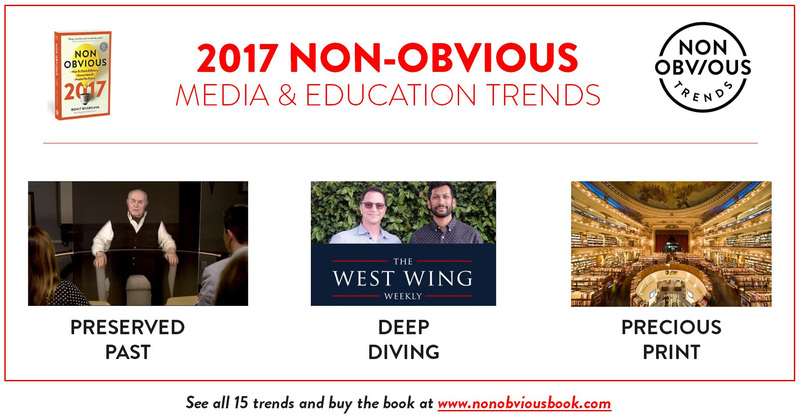 To demonstrate this, the new edition of the book features a recap of the past FOUR years of trend predictions (60 in total) including an assessment and rating for each trend. My hope in sharing this is to not only be accountable for previous predictions, but to add some context to this year’s trends by consistently learning from the past.